This themes is in black color . It is specially suitable for jewelry store. This theme is manage with from banner with two different banner and short contact information. 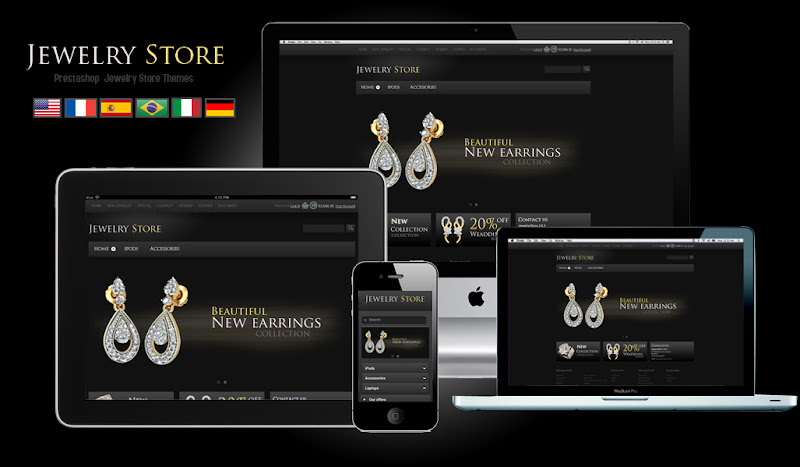 Home page jewelery store is design in such a way that client can get information most of the information from single page from home page. This Theme – 1 Column is in home,login &cart page and 2 Columns are in all pages. It’s easy to install and do not takes more than 5 minutes.